Each year The Woodlands Township residents are invited to come together to take a stand against crime and drugs during National Night Out. This is a great learning opportunity for kids (and a reminder for adults), teaching them about a very important step in crime prevention – “neighbor knowing neighbor”. During the event, residents will lock their doors, turn their lights on and join participating neighbors in a variety of activities hosted by fellow neighbors, or even you! Below is the information on how to register to host a party in your neighborhood. Just be sure to do it soon because the deadline for a prize is July 15th and the final deadline is July 22nd. Not sure if hosting is for you? The Woodlands Township has put together a National Night Out promo video, party guide, and FAQ’s so that you have a better idea of what to expect. The event will take place August 2nd, 2016 from 6 to 8:30 p.m. For more information read the following or go to http://www.thewoodlandstownship-tx.gov/civicalerts.aspx?AID=2047. Hosting a National Night Out party is a great way to bring neighbors together. To register a National Night Out party, please fill out the form at www.thewoodlandstownship-tx.gov/nationalnightout. 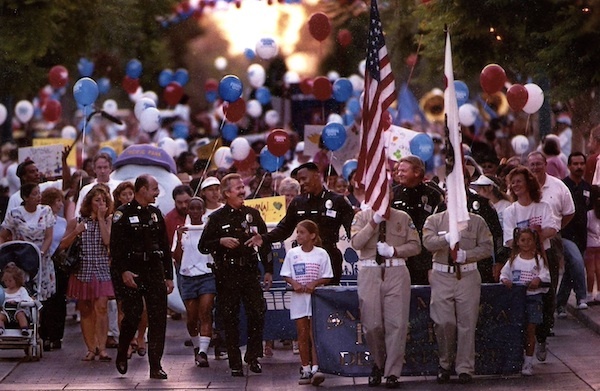 A National Night Out promotional video, party guide and frequently asked questions are available on the website. 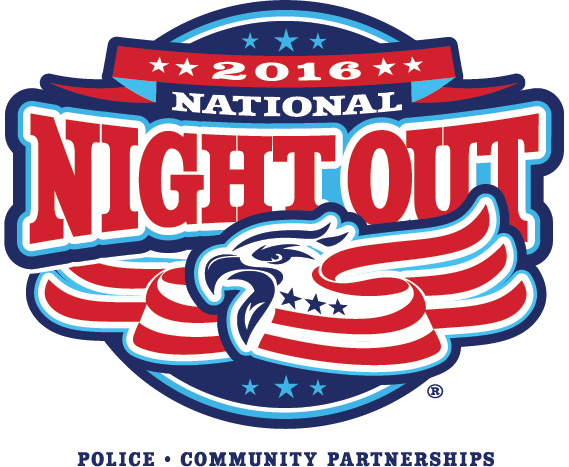 National Night Out parties registered by July 15, 2016, are eligible for a prize. The final day to register and receive a public safety visit is July 22, 2016. 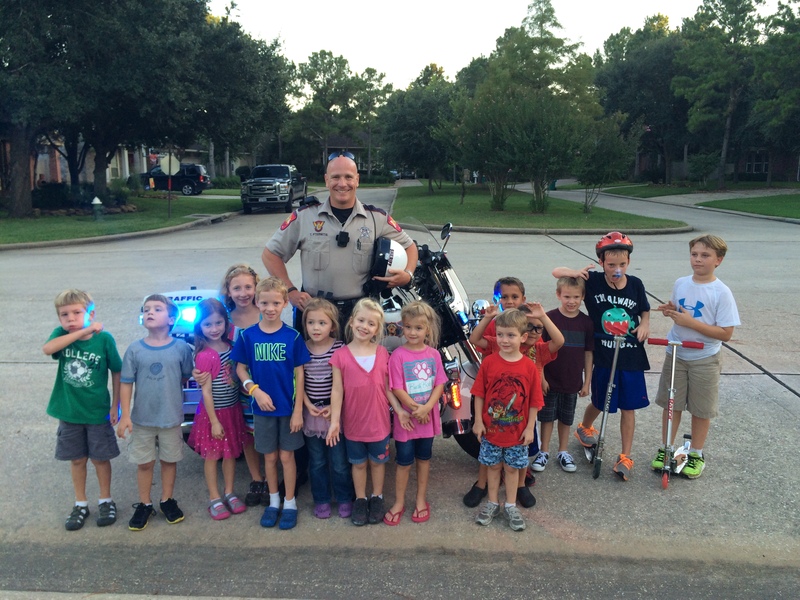 In 2015, over 100 public safety personnel visited parties throughout The Woodlands. 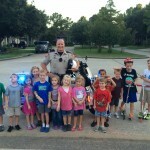 The Woodlands Township Neighborhood Watch can provide National Night Out party supplies during the National Night Out Supply and Registration Day. Available supplies may include balloons, giveaways, yard signs, party ideas and more. Pick up supplies July 19, 2016, from 10 a.m. to 6 p.m., at The Woodlands Township Town Hall, located at 2801 Technology Forest Blvd. Pre-registration is required. National Night Out offers many opportunities for neighborhood camaraderie, including a theme party contest, sidewalk chalk art competition, food drive in partnership with Interfaith of The Woodlands, I.D. the Burglar village challenge and the National Night Out Military Drive. Nonperishable food items collected at National Night Out parties can be dropped off directly at Interfaith, 4242 Interfaith Way, August 3 to August 5, 2016, from 8 a.m. and 5 p.m. Please make sure to mention National Night Out when giving donations to Interfaith. 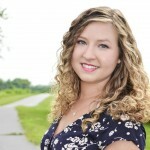 Together, residents can make a difference to alleviate hunger in South Montgomery County. The I.D. the Burglar Village Challenge is a fun contest designed to promote neighborhood cooperation, crime prevention awareness, and to test a person’s skill and accuracy in identifying a suspect. One party from each village will be drawn from the parties registered to participate in the challenge. A “burglar,” along with a “good guy” will be escorted by a Montgomery County Sheriff’s Office deputy to the party chosen from each village. The neighborhood must work together as a team to help identify the burglar. New this year is the National Night Out Military Drive. Support military by collecting items at National Night Out neighborhood parties. A full list of items needed is available in the party guide at www.thewoodlandstownship-tx.gov/nationalnightout. 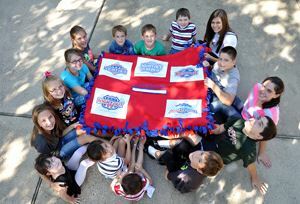 Items collected will be donated to Operation Military Embrace. Donated items will be collected at The Woodlands Township Town Hall, located at 2801 Technology Forest Blvd., August 3 to 5, 2016, from 8 a.m. to 5 p.m. In addition to the neighborhood parties, the Township residents can meet each other at National Night Out Good Neighbor Days, Boots vs. Badges Softball Game, Car Seat Check and a Community Expo. 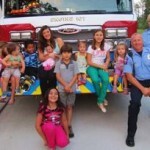 During Good Neighbor Days at The Woodlands Fire Department stations, residents can explore a fire truck, police patrol vehicle and learn more about National Night Out. 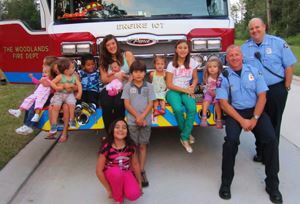 Upcoming Good Neighbor Days include: July 10, 2016, from 3 to 5 p.m., at Station 4, 7900 Bay Branch Drive; July 16, 2016, from 11 a.m. to 1 p.m. at Station 6, 1100 Windsor Lakes Blvd. ; and July 17, 2016, from 3 to 5 p.m., at Station 7, 26722 Kuykendahl Rd. The Montgomery County Sheriff’s Office and The Woodlands Fire Department battle it out at the annual Boots vs. Badges Softball Game. Residents are invited to come on out and cheer on local public safety personnel, August 20, 2016, from 7 to 8:30 p.m. at McCullough Junior High’s Scotland Yard Baseball Field, located at 3800 South Panther Creek Drive.. Car Seat Check has certified technicians who will be available to inspect the installation of car seats, October 1, 2016, from 10 a.m. to 1 p.m. at the YMCA, located at 6464 Creekside Forest Drive. Please bring children’s car seats, the vehicle that the car seat is placed in and the vehicle owner’s manual. The Community Safety Expo is a day of food, fun and public safety demonstrations for the entire community. Residents can meet public safety personnel, see equipment, enter mobile command units of the Montgomery County Sheriff’s Office and Homeland Security, watch law enforcement K-9 demonstrations and much more at this free event. Children can enjoy face painting, a bounce house, crafts and hanging out with McGruff the Crime Dog. The Community Safety Expo will be held October 1, 2016, from noon to 3 p.m. at Rob Fleming Aquatics Center, located at 6535 Creekside Forest Drive. Since 1990, The Woodlands Township Neighborhood Watch has brought residents and the public safety agencies that serve The Woodlands Township together under positive circumstances. National Night Out is an annual community-building campaign that promotes police-community partnerships and neighborhood camaraderie to make neighborhoods safer. Please contact The Woodlands Township Neighborhood Watch at 281-210-3800 or visit www.thewoodlandstownship-tx.gov/nationalnightout for more information. 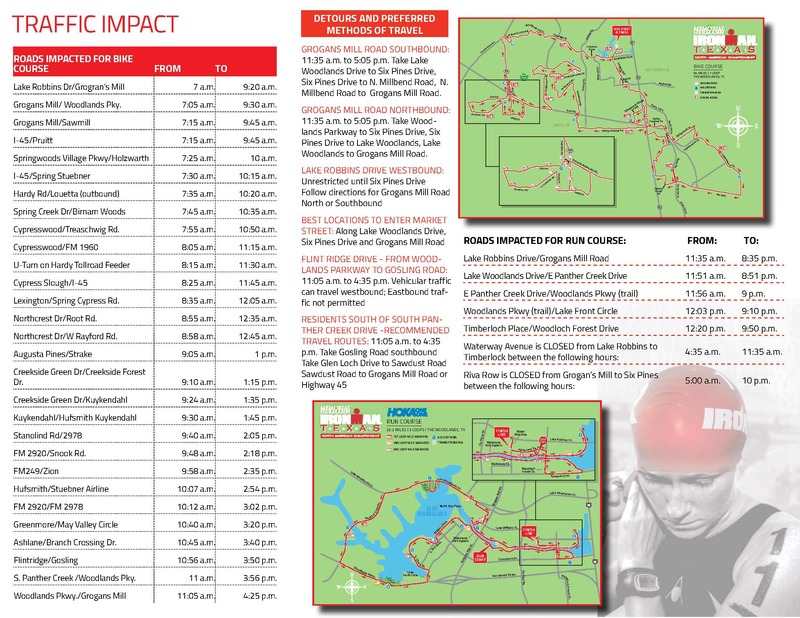 Previous PostCelebrate the Fourth of July in Texas!Next PostSummer 2016 Action Guide!